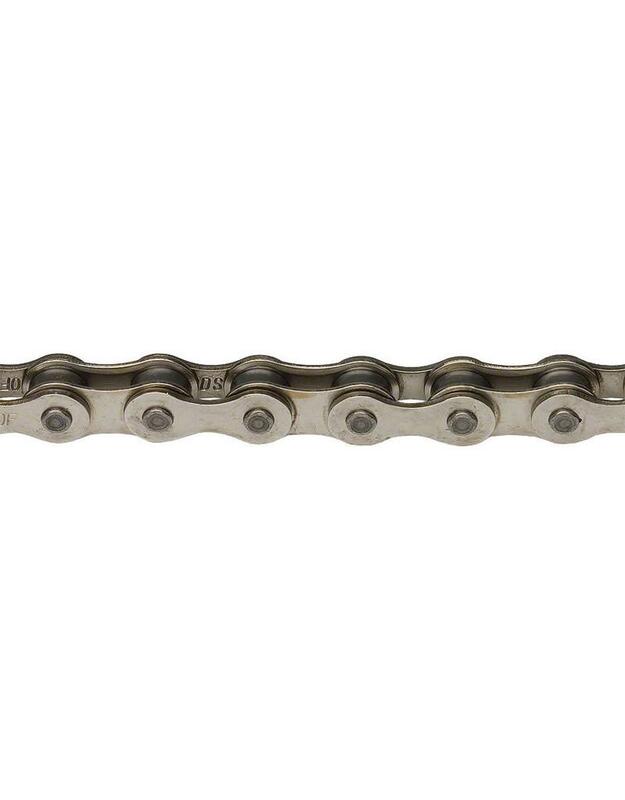 Odyssey Bluebird chain is the proven and reliable KMC 510-HX chain with an added a permanently attached, factory installed half-link to one end. When the chain is trimmed to size you can easily decide whether or not to use the half-link. Original factory assembled pin joints are radically stronger than workshop assembled ones, so this is a huge benefit.